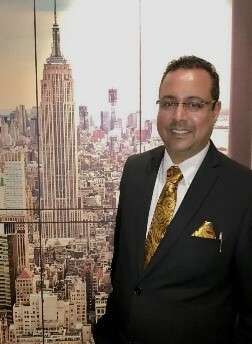 Dave Ananth, Senior Tax Counsel with Stace Hammond Lawyers, is based in Auckland, New Zealand. He is a senior lawyer, a former Magistrate and advocate in Malaysia before taking up a position with the Inland Revenue Department in New Zealand as a Prosecutor. He is an expert in taxation and tax policy. He also writes extensively on direct and indirect tax issues in Malaysia and New Zealand. He is a consultant for Wolters Kluwer Malaysia. He can be reached at davea@shg.co.nz. The usage of tax to change “unhealthy behaviour” is not uncommon. Examples include “sin taxes” on cigarettes and alcohol, tax on high fat food (Denmark) and a “metabo” law (Japan) which was introduced to overcome obesity through annual measurement of waist circumference, provision of weight loss classes and the imposition of fines. In August 2018, Damanasara MP Tony Pua floated the idea of a “soda tax” to kill two birds with one stone – to increase government revenue and encourage healthy living. A few weeks later, Prime Minister Dr Mahathir Mohamad says the government is considering implementing a soda tax to encourage healthy living and reduce sugar consumption as the diabetes rate in Malaysia is very high. It cannot be denied that Malaysians are eating and drinking too much sugar. Not just from soft drinks, but from other sweetened drinks (teh tarik), local kuih (cakes) and biscuits. Per the chart below, the estimated daily consumption of sugar is the highest among Malaysians in Southeast Asia (SEA). It was reported that in 2017, about 16.74% of adults in Malaysia have diabetes. While it is not the highest in the world (Malaysia ranks 12), Malaysia still has the highest number of diabetes sufferers in SEA. It is also worth noting that Malaysia has the highest levels of obesity sufferers in SEA, at 15.6%. Again, while Malaysia is not the highest in the world, it is still a cause for concern. Total (direct and indirect) costs of obesity are highest in Malaysia, amid SEA, where it is estimated to be between 10% and 19% of national healthcare spending. The World Health Organisation (WHO) stated in a report that sugary drinks are a major contributor to obesity and diabetes, and suggested that the taxation of sugary drinks can help reduce the consumption of sugars, just like how the taxation of tobacco helps reduce tobacco use. In response to Tony’s suggestion, some have opined that it is better to broaden the tax to include sugar in general, not only soda. Dr Ahmed Razman Abdul Latiff of University Putra Malaysia questioned whether it is soda or sugar that is the main contributor of diabetes in Malaysia. He said if the soda tax implementation is geared towards reducing consumption of excess sugar, it may be more effective to implement a tax on sugar. In New Zealand, Sir Michael Cullen appeared to favour a broad-based excise on sugar rather than explicitly taxing the sugar content of "fizzy drinks" as that would act as a poorly targeted tax on low income households. Fruit or vegetable juice (under tarriff code 20.09) containing added sugars of more than 12gm per 100ml of drink. This was supposed to take effect from 1 April 2019. However, it has now been postponed to 1 July 2019 to allow more time for both manufacturers and the Customs to make preparations. Malaysia will join the ranks of countries that have implemented various versions of a sugar tax. In Brunei, BND0.40 (RM1.21) per litre is imposed on beverages with 6g sugar per 100ml. In Philippines, drinks with caloric and non-caloric sweeteners is taxed ₱6.00 (RM0.47) per liter while drinks with high-fructose corn syrup is taxed at ₱12.00 (RM0.94) per liter. Thailand introduced a new excise tax system, along with new higher tax rates for sugary drinks that will go up gradually over a six-year period. Currently, carbonated soft drinks will be taxed [between 0.10 baht (RM0.013) to 1 baht (RM0.13)] per liter according to sugar content per 100 ml. In UK, a soft drinks industry levy is imposed at 18p (RM0.96) per liter on drinks with 5g-8g sugar per 100ml and 24p (RM1.27) per liter on drinks with 8g or more sugar per 100ml. Any increase or introduction of taxes will have an impact on the public at large, some more than the others. The sugar tax will see the prices of drinks increase, should companies choose to pass on the cost, which it usually does. Obesity and obesity-related diseases are generally suffered by lower socioeconomic groups, and it is understandable that sugar tax advocates would want to ease the financial and emotional burdens related to illness. However, this means a sugar tax will mainly affect the poor. No matter which way you cut it, a sugar tax is regressive: people on lower incomes will pay disproportionately more of the tax than people on higher incomes. A sugar tax is, therefore, punitive and counter-intuitive way to address the problem: make poor people poorer because it is for their own good. It is also worth noting that sugar is addictive, as they trigger the release of dopamine (a “feel-good hormone”). If the public is forced to cut down on their sugary drinks due to the tax, they might downshift to cheaper brands with worse artificial sugar content. Switching from Coca-Cola to air sirap (a local Malaysian drink) will cost less but have no health benefits. It is also possible that they just shift to salt (another component that triggers the release of dopamine) as a coping mechanism. The effect of the tax on health may be smaller if people reduce their sugar intake but increase their consumption of crisps. If sugar tax advocates ignore the reasons that lead to the consumption of sugar, they ignore the very reason people might not act the way advocates want them to. For those who cannot afford other material luxuries, food may be one of the few luxuries a family can indulge in. For another, it is a matter of personal liberty at stake. In UK, according to a Sugar Tax Shopper survey, there were not any significant changes in consumer habits after the introduction of the soft drink levy. 11% of shoppers claimed they planned to stop drinking sugary soft drinks prior to the tax; this number has fallen to just 1% post-tax. The number of people who said they would continue to buy sugary soft drinks also, grew post-tax, increasing from 31% in February to 44% in June. WHO likened the taxation of sugary drinks to the taxation of tobacco. Malaysia’s experience on using tax as to curb tobacco use and even alcoholic drinks has led to another issue – smuggling. Galen CEO Azrul Mohd Khalib said that cigarette price increases (from sin taxes/excise duties) are a “double-edged sword” as they reduce consumption among younger smokers who are price-sensitive, but at the same time drive these users to increase the market share of illicit brands. According to Azrul, the government lost more than RM4b in tobacco-related tax revenue in 2017 due to the illicit market. If the price increases arising from the sugar tax become unbearable, it possible that there will be a demand for smuggled sugary drinks. Is a tax on only sugary drinks half-baked? If the government is intent on imposing a sugar tax, I think it is worth considering what Hungary has done. In 2011, Hungary introduced a “public health product tax” on foods and drinks that contain large quantities of sugar and salt, such as soft drinks, alcoholic beverages, energy drinks, confectionery, salty snacks and fruit jams. The amount of tax paid is determined by the units of product bought or sold, and units are measured in kilograms or litres. According to a brief by WHO, since its introduction in 2011, consumption of unhealthy food products has decreased concomitantly with the decrease in the supply and sale of those products. Considering that a regular Malaysian’s diet is high in sugar, salt and fat (mamaks and fast food), it would be more effective widen the scope of sugar tax to cover food and drinks with excessive sugar, salt and fat. Other than that, I think Malaysia needs to determine the objective of its sugar tax. Does the government want to increase revenue or reduce the people’s consumption of sugar? Or should there be a balance between the two? If the purpose of the tax is to reduce the consumption of sugar, then the government should not expect to earn a lot of revenue under this initiative. Otherwise, if people consume sugary/sweetened drinks excessively, then the government would be able to increase its revenue collection. However, this will be at the expense of the health budget every year. In my view, when it comes to health decisions, it is more beneficial to encourage, educate and enable rather than punish. Instead of taxing sugary drinks, I would advocate cheaper healthy drinks as a substitute. For example, sugar-free drinks could be made cheaper by reducing the margins companies put on them or via a tax incentive. They cost much less to make but are sold at the same price, thus making them more profitable. Generally, prices of healthier products are higher, not because they cost more to produce, but because companies know that nutritionally-aware consumers are usually more affluent, and therefore willing to pay a higher price for healthy products. Removing this “health premium” would make sugar-free drinks cheaper and shift demand in a healthier direction. Apart from that, sugar-free/healthier drinks should be made more readily accessible. For example, fast food outlets do not have much choices besides frizzy and heavily sweetened drinks. Perhaps alternatives, in the form of fresh juices, should be given to consumers. In the US, cheaper fruit and vegetable prices were found to be associated with lower body weight outcomes among both low-income children and adults, suggesting that subsidies that reduce prices of fresh produce may be effective in reducing obesity. The government could also consider setting up initiatives to encourage companies to voluntarily reduce the content of salt, sugar and fat in their food and drinks. I must however acknowledge that the introduction of the excise on sugar drinks is not all that bad for it has spurred the manufacturers of sugary drinks to take action. Fraser & Neave (F&N) Malaysia, one of the biggest food and beverage company in Malaysia, has announced that to mitigate the effects of the sugar tax, it plans to produce smaller-packs, reformulate and reduce sugar content in its existing offerings as well as speed up innovations to create healthier products. The shift seems to be happening at the manufacturers’ side in UK as well. The sugar tax revenue estimates dropped from £500m a year (March 2016) to £275m per year (November 2017). This is considered as a success as it shows that companies are reacting to the market and reducing the sugar content of their products. Malaysia should not become a nanny state, where the government tells you what to eat and when to go to bed. The imposition of a sugar tax, be it for health or revenue purposes, could tip Malaysia into that unfavorable category. If the government views the sugar tax as a method to control diabetes and obesity levels, there are more desirable methods that can be used to encourage Malaysians to lead a healthier lifestyle, as discussed above. If the government views the sugar tax as method to increase its revenue, there are different policies that can be used to strengthen revenue collection and broaden revenue base without disrupting the lives of Malaysians and containing inflation. Stephen, L., 2018. Obesity in Japan. Can the metabo law prevent it?. [Online] Available at: https://louisestephen.com/2018/02/24/obesity-japan-can-metabo-law-prevent-it/ [Accessed 9 March 2019]. Mohamad Salleh, N. A., 2018. Taxman leads the charge in South-east Asia's war on sugar. [Online] Available at: https://www.straitstimes.com/asia/taxman-leads-the-charge-in-south-east-asias-war-on-sugar [Accessed 9 March 2019]. World Bank, 2017. Diabetes prevalence (% of population ages 20 to 79). [Online] Available at: https://data.worldbank.org/indicator/SH.STA.DIAB.ZS?end=2017&locations=MY-ID-TH-SG-US-PHJP&start=2017&view=bar&year_low_desc=true [Accessed 19 February 2019]. World Health Organisation, 2017. Prevalence of obesity among adults, BMI ≥ 30, age-standardized. [Online] Available at: http://apps.who.int/gho/data/node.main.A900A?lang=en [Accessed 21 February 2019]. Available at: http://www.eiu.com/Handlers/WhitepaperHandler.ashx?fi=Tackling-obesity-in ASEAN.pdf&mode=wp&campaignid=ObesityInASEAN [Accessed 21 February 2019]. NZ Herald, National, 2018. Introduce capital gains tax, says Cullen's working group. [Online] Available at: https://www.newstalkzb.co.nz/news/national/introduce-capital-gains-tax-says-sir-michael-cullens-tax-working-group/ [Accessed 27 February 2019]. Abas, A., 2019. Customs Dept: Sugar tax for beverages postponed to July 1. [Online] Available at: https://www.nst.com.my/news/government-public-policy/2019/03/466993/customs-dept-sugar-tax-beverages-postponed-july-1 [Accessed 9 March 2019]. Lim, K. G., 2016. A Review of Adult Obesity Research in Malaysia. Medical Journal of Malaysia, 71(Supplement 1), pp. 1-19. Ananth, D., 2018. Suggestion for "taxes to change bad behaviour" not well-founded, says tax barrister. [Online] Available at: https://www.davetaxnz.nz/blog/suggestion-for-taxes-to-change-bad-behaviour-not-well-founded-says-tax-barrister [Accessed 26 February 2019]. Crampton, E., 2018. Dr Eric Crampton: There's no good reason for a sugar tax in New Zealand. [Online] Available at: https://www.stuff.co.nz/national/health/101920079/dr-eric-crampton-theres-no-good-reason-for-a-sugar-tax-in-new-zealand [Accessed 26 February 2019]. Ceylan, A., 2018. Sugar tax has little impact on consumer behaviour. 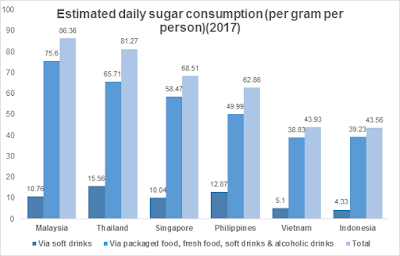 [Online] Available at: https://www.nielsen.com/uk/en/insights/news/2018/sugar-tax-little-impact-consumer-behaviour.html [Accessed 25 February 2019]. Rao, M., 2018. Tackling the rampant smuggling of cigarettes and its black market. [Online] Available at: https://themalaysianreserve.com/2018/11/02/tackling-the-rampant-smuggling-of-cigarettes-and-its-black-market/ [Accessed 25 February 2019]. Available at: http://www.euro.who.int/en/health-topics/Health-systems/health-systems-response-to-ncds/publications/2015/public-health-product-tax-in-hungary-an-example-of-successful-intersectoral-action-using-a-fiscal-tool-to-promote-healthier-food-choices-and-raise-re [Accessed 27 February 2019]. Winkler, J. T., 2012. Taxing unhealthy food and drinks to improve health. [Online] Available at: https://www.bmj.com/content/344/bmj.e2931/rr/585808 [Accessed 27 February 2019]. Rasid, A. H., 2019. F&N to introduce record number of new products this year to mitigate sugar tax. [Online] Available at: https://www.nst.com.my/business/2019/01/453630/fn-introduce-record-number-new-products-year-mitigate-sugar-tax [Accessed 27 February 2019]. Pym, H., 2018. Sugar tax is already producing results. [Online] Available at: https://www.bbc.com/news/health-43372295 [Accessed 25 February 2019].